When you send gifts to Japan with GiftBasketsOverseas.com, your package is guaranteed to arrive on time and in perfect condition. Presentation and packaging are just as important as the gift itself in the Land of the Rising Sun. That is why you'll discover perfectly packaged gifts to Japan in that will light up the face of the lucky recipient. If you need to send last minute gifts to Japan, GiftBasketsOverseas.com has you covered. We offer hundreds of options for personal and corporate gifts to Japan with 2 day and next day shipping. This includes flowers, gourmet foods, wines, candies and gift baskets. Because we have locations throughout the country, we deliver locally to reduce the chances of breakage on planes, boats or with a delivery service. Simply select the occasion below and we'll take the hassle and risk out when you need to send gifts to Japan. Why send gifts to Japan with GiftBasketsOverseas.com? There's a reason customers keep coming back when they need to send gifts to Japan. We care about the customer, the gift and ensuring a perfect experience. With local locations for shipping and delivery, our gifts to Japan start their journey already close to the recipients home. This helps to ensure that the package will make it on time, safe and everything will be fresh and fabulous. From flowers to fresh fruit and wines to corporate presents, we will help to make sure that when you need to send a gift to Japan, you have all of the culturally conscious and amazing options your friends and business partners will love at affordable prices. Why Send a Gift to Japan? When you send a gift to Japan it shows sincerity, a respected quality in Japanese culture. If you need to say thank you to a friend or send a present to follow-up from a personal or professional meeting, our coffee or candy baskets are the perfect way to thank someone for their hospitality. 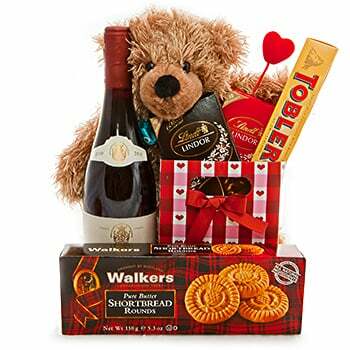 It is also a very common practice to send gifts to Japan that represent a recent trip (omiyage) and GiftBasketsOverseas makes it easy with a range of specialty items like wine, regional fruits and flowers, or tea and coffee selections. Because GiftBasketsOverseas.com has locations already in-country, cultural mistakes like sending something displaying the numbers four or nine are easily avoided. This also eliminates the risks of breakage that gifts to Japan traveling on airplanes or boats have. Sending smiles overseas by sending gifts to Japan has never been easier than with GiftBasketsOverseas.com. You can review a list of holidays in Japan to get information on Japan holiday traditions. Zama, Zentsuji, Zushi, and large cities in Japan. Interested to have gift delivered to Japan from your country?